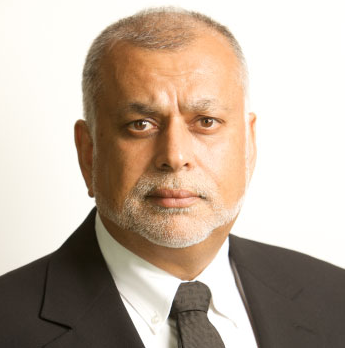 KAMPALA- Businessman Sudhir Ruparelia has dragged the new lawyers of Bank of Uganda to court, accusing them of conflict of interest. Ruparelia, in a suit filed on Tuesday at the commercial division of the High Court, claims that Sebalu and Lule Advocates should not be representing Bank of Uganda and dfcu Bank since it has already represented Crane Management Services that owned Crane Bank which was sold to dfcu. Crane Management Services sued dfcu bank demanding rental arrears amounting to Shs2.9b and $385,728.54 in respect of tenancies of suit properties that were formally owned by Crane Bank. The petitioner now wants the court to issue a permanent injunction, restraining Sebalu & Lule Advocates from appearing as defence counsel for dfcu bank in the other court case that the two principals are battling out. Early this year Mr Ruparelia also sued two law firms MMAKS Advocates and J.F. Mpanga Advocates, who had been hired by Bank of Uganda to represent the central bank in the case against Crane Bank. He sued the law firms for conflict of interest and court disqualified them from representing BoU. Court documents further indicate that when Dfcu bank took over the assets and liabilities of Crane Bank, it also took over occupation and use of the said rented properties from which the real estate company wants to recover accumulated rent arrears from Dfcu bank. Some of the properties cited include; Crane Bank branches at plot 9 on Market Street, plot 1-13, Jinja Road, plot 47, Republic Road-Mbale, Speke Hotel (1996), Pot 19 Cooper Road (Crane Plaza), plot 20, Kampala Road –Crane Bank ATM.